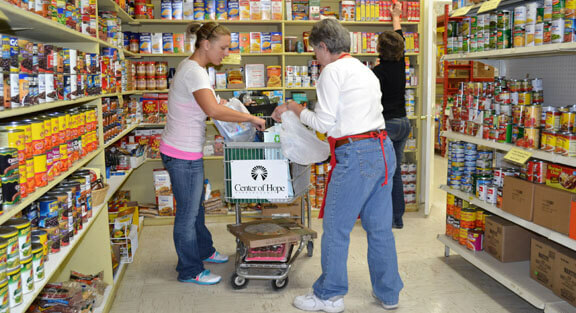 Every year, Center of Hope provides 4,000 baskets of food to families needing food assistance. Through Tarrant Area Food Bank, multiple food drives, and generous donations from our community, our pantry is stocked with a variety of foods such as meats, fresh produce, canned foods, dairy items, and bakery items. Participants shop for groceries according to family size and availability. Every year, Center of Hope provides over 13,000 meals through our dining room. The dining room is open Monday-Thursday from 10 AM-2 PM. This program relies completely on volunteers from local churches and businesses. 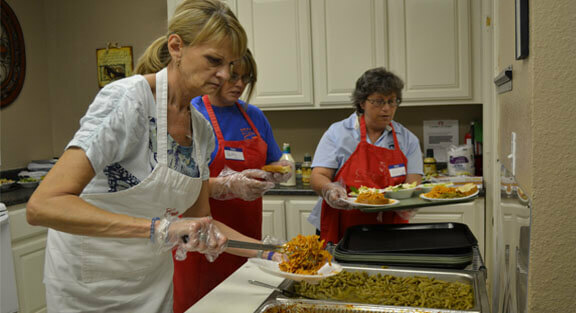 If your group is interested in serving in the kitchen, please contact Staci Markwardt at 817-594-0266 ext. 304. Financial assistance is provided to individuals facing financial challenges due to low-income or a recent emergency. 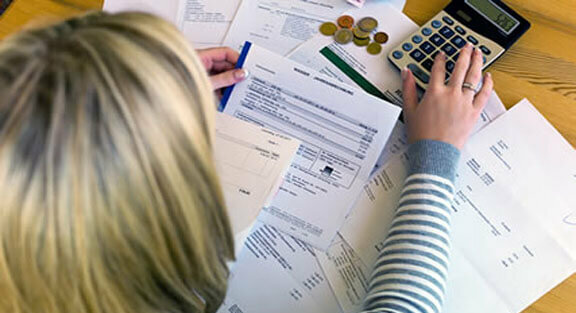 The majority of our financial support helps with paying a portion of a utility bill. 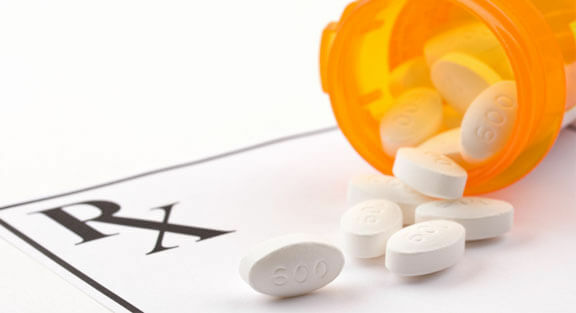 Our medical assistance helps families with prescription needs and co-pays for minor medical emergencies. Kingdom Smiles is the only program in Parker County that provides financial assistance for dental services to low-income participants who are experiencing serious dental pain or other health issues related to dental conditions. Every participant’s situation is different. Sometimes the support an individual requires is not within the scope of our work. 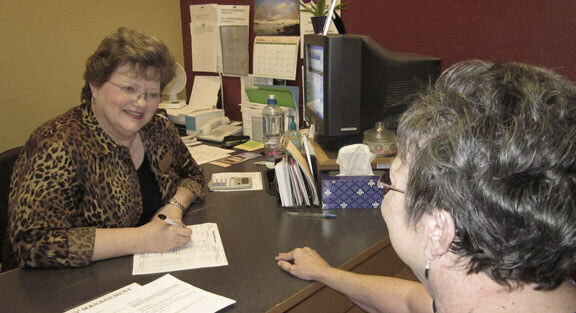 We partner with agencies in Parker and Tarrant County to help individuals get connected with the agency that best fits their needs.